The perfect companion to note taking for every subject! 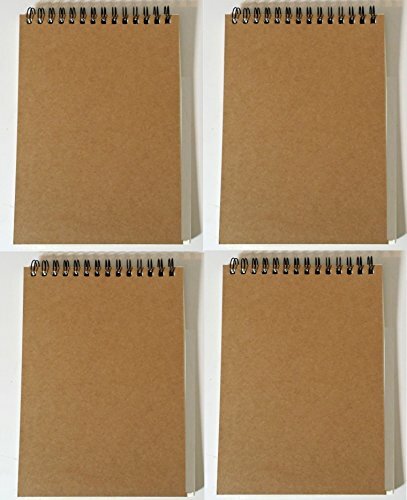 5x7" notebooks have customizable kraft paper covers and are perfect for a variety of uses. Classic Kraft paper covers with lined paper inside. 60 sheets inside each individual pad. The perfect companion to note taking for every subject! 5 x 7" notebooks have customizable kraft paper covers and are perfect for a variety of uses. To purchase these in bulk discount (12 Notebooks) search "B077K9NJQG" or "K-Kraft Bulk Buys"
If you have any questions about this product by K-Kraft Kinder-Kraft, contact us by completing and submitting the form below. If you are looking for a specif part number, please include it with your message.